Our shared hosting option provides our budget-conscious clients with a better-than-competitive price when it comes to web hosting. Having your own server can cost upwards of $10,000 per year but with this option you share the cost amongst hundreds, sometimes thousands of other users. The old adage that you get what you pay for applies here. Shared hosting is the only way that our competitors can provide cheaper hosting services and to remain price-competitive is the only reason we do offer this service. It's not a risk we recommend but it is better than not having a web site at all. The upside is the cost. The downside is speed and security. When you share a server with others you run the risk that the other users won't do something to bring down your web site. It is also slower because more people are accessing the server at once. When you buy a domain name you buy rights to use it for a period of time. 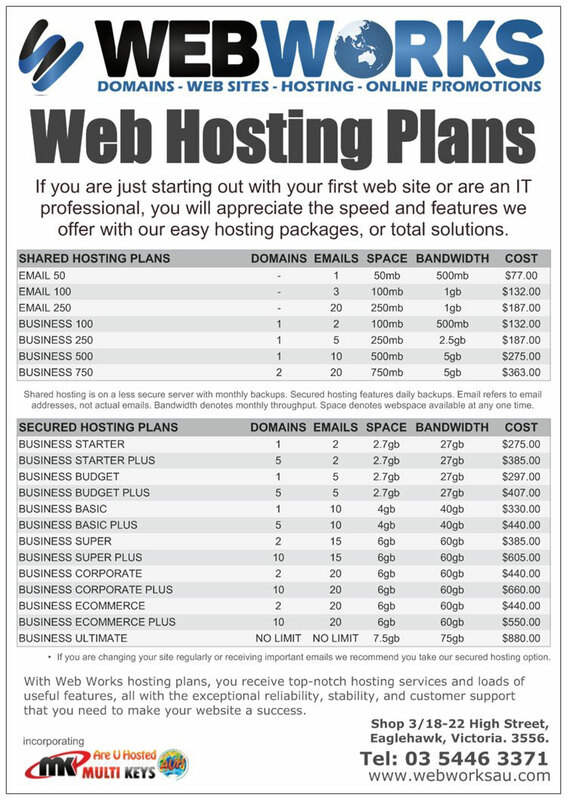 It then needs to be told where your web site is hosted. You do this by changing the DNS setting.